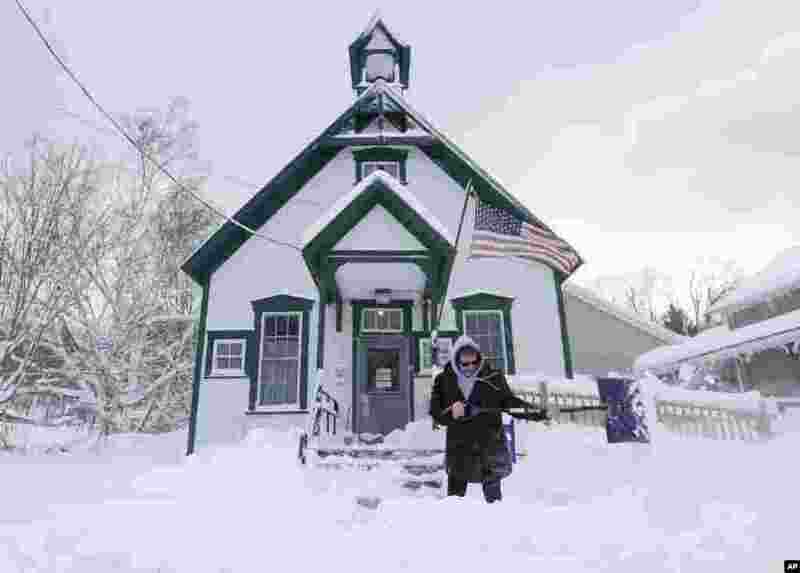 1 Postal clerk Pamela Bentley shovels snow in front of the U.S. Post Office in Grafton, New York. 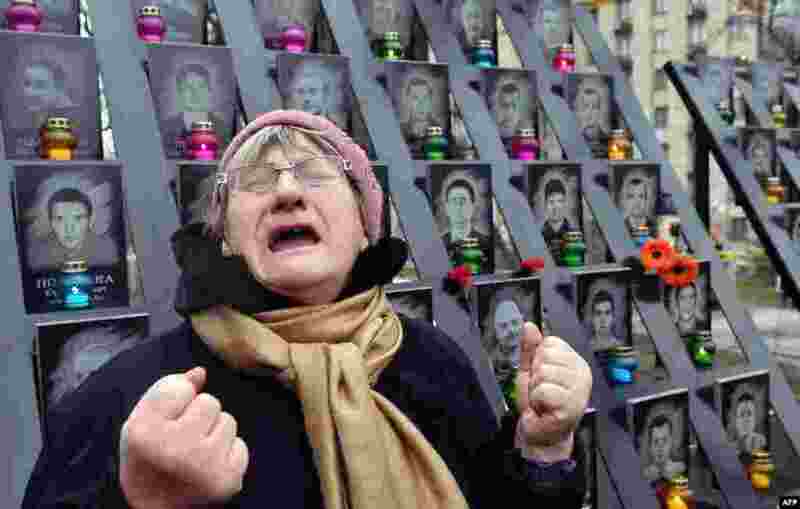 2 An elderly woman cries at the memorial for the killed Maidan activists during a ceremony marking the third anniversary of the Euromaidan beginning in central Kyiv, Ukraine. 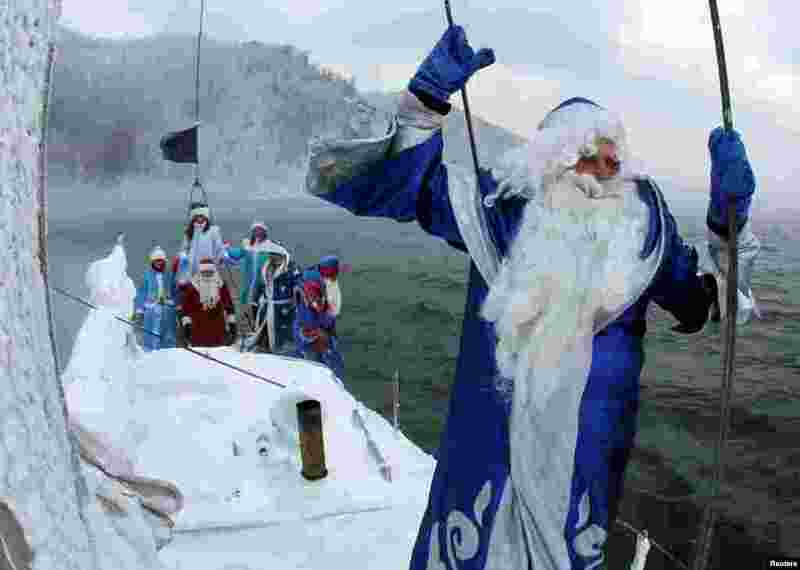 3 Members of the "Skipper" yacht club dressed as Ded Moroz, the Russian equivalent of Santa Claus, and his granddaughter Snegurochka (Snow Maiden) sail a yacht along the Yenisei River outside the Siberian city of Krasnoyarsk, Russia. 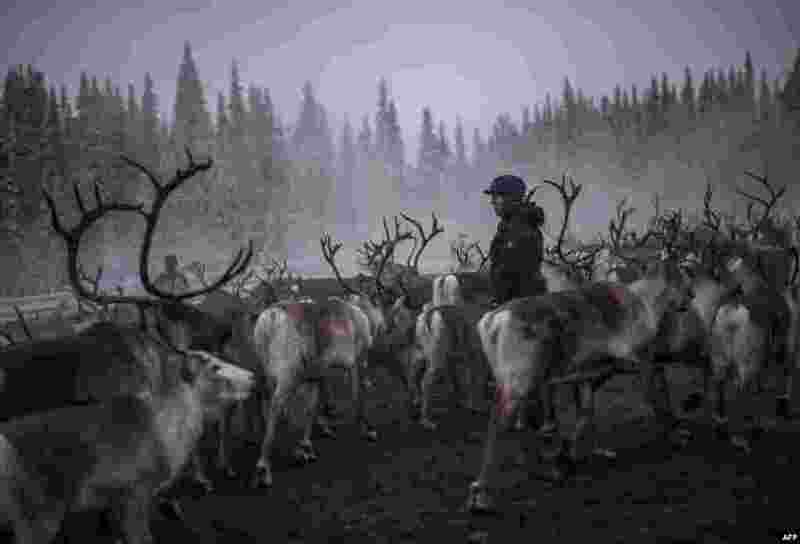 4 A Sami woman from the Vilhelmina Norra Sameby, keeps an eye on the reindeer near the village of Dikanaess, about 800 kilometers north-west of the capital Sweden.